An Ontario cancer researcher is concerned that the Canadian Cancer Society has proportionally shifted funding away from research and is spending more of its dollars on fundraising and administration costs. "Most scientists don't realize that the budget has been going up and up, and donations have been growing, but the budget for research has been shrinking," said Brian Lichty, a researcher at McMaster University who is looking into treating cancer with viruses that kill tumours. "So they are surprised and disappointed when they find out that this is the case, and the trend." CBC's Marketplace analyzed the Canadian Cancer Society's financial reports dating back a dozen years. It discovered that each year, as the society raised more dollars, the proportion of money it spent on research dropped dramatically — from 40.3 per cent in 2000 to under 22 per cent in 2011. The amount of money spent on research has increased slightly over the years, but as a portion of the Cancer Society's growing budget, it's almost been cut in half. Lichty and some of his colleagues set up an information booth at this year's annual Relay for Life fundraiser in Ancaster, Ont., to raise awareness about the drop in funding for research at the Canadian Cancer Society. Over the years, his research team has received hundreds of thousands of dollars from the society, but he's not afraid to criticize it now. "Cancer researchers are spending a lot of their time, or most of their time, trying to figure out how to get the money to fund their research, rather than actually doing research," Lichty said. "And it has become a much bigger portion of what our day-to-day activities amount to." "While funding cancer research is a crucial part of the society's work, we also have profound responsibilities to do everything we can to reduce the risk of Canadians ever developing cancer and to provide meaningful support to people living with cancer." But when Marketplace scrutinized the financial reports, it found that a greater percentage of funds was not being directed toward support, information and advocacy. Instead, the reports reveal that the area that's getting the greatest portion of donor dollars is fundraising, up from 26 per cent of all monies raised in 2000, to 42.7 per cent in 2011. Will Canadian Cancer Society spending make you stop donating? 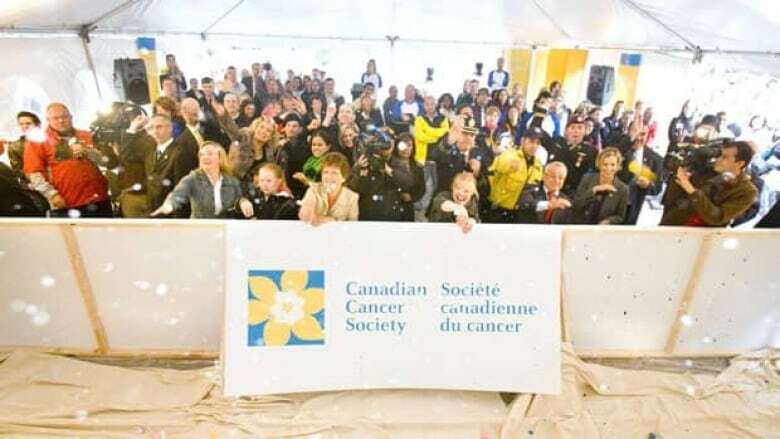 Greg Thomson, a spokesman for the charity watchdog Charity Intelligence, said the Canadian Cancer Society appears to spend more on fundraising than a number of other charities. "I would want to understand better what they're spending their money on, why they're spending that much," Thomson said. "Because we found a number of very effective organizations that don't need to spend nearly the percentages on fundraising and admin that we've seen." Mark Blumberg, a lawyer who advises non-profits and charities but doesn't represent the Canadian Cancer Society, said the society may be spending less on research because that money may have more impact elsewhere. "In the end, they need to listen to all the different interest groups and stakeholders that have an interest in the area, and not just prefer one and ignore others," Blumberg said. "I think what they are trying to do is spend money on different areas and balance stakeholders' interests." Lichty said he's hoping his criticism of the society will encourage the largest funder of cancer research in Canada to shift its priorities back to finding new treatments and a cure. "I suspect, if donors are not happy with the situation, if they want a greater proportion of their money to go to research — because that is why they donated their money — then maybe there will be a grassroots movement," Lichty said. "Some pressure from the donors and the volunteers to try and find a way to put more of the money they raise into research." P.O.V. : Will Canadian Cancer Society spending make you stop donating?